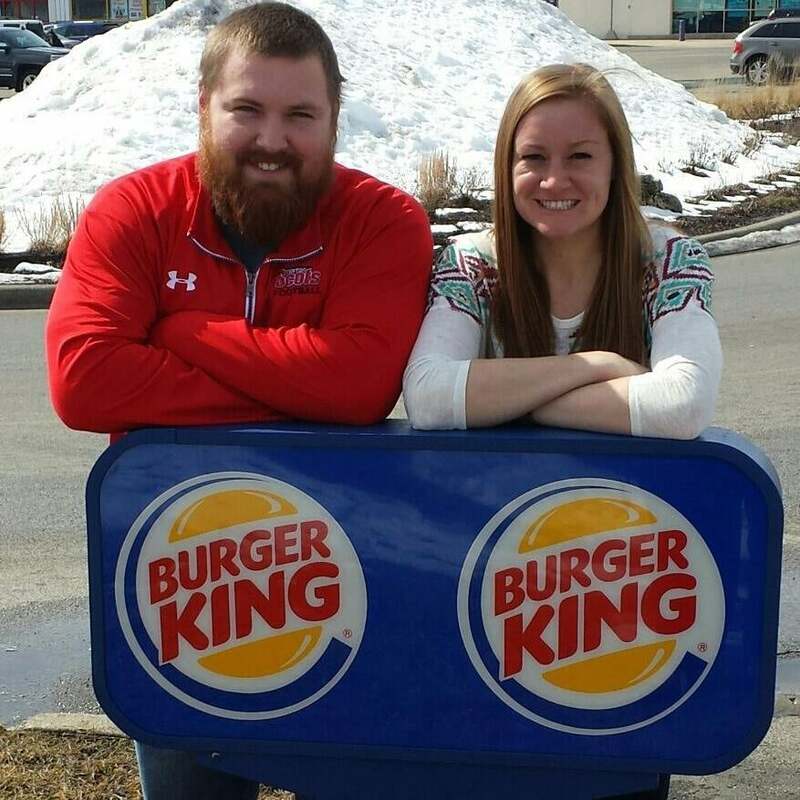 After years of enduring jokes about their names, Joel Burger and Ashley King are getting some love from the famous fast-food chain itself. The Illinois couple started hearing fast-food jokes back when they were in fifth grade together. When they got engaged, they decided to get in on the joke themselves, posing next to a Burger King logo and announcing the "Burger-King" wedding, reports The State Journal-Register. The engagement announcement went viral. Soon, even Burger King had heard about the couple that shared a name with the chain. On Monday, the burger chain skyped Burger and King to let the couple know the company wanted to pay for their wedding. In addition to paying for the couple's July nuptials, Burger King is providing personalized gift bags, Mason Jars and Burger King crowns. Also, as the couple's Burger-King name was bizarrely first assigned to the duo at a fifth-grade assembly featuring a motivational speaker who utilized yo-yos, the chain will provide personalized yo-yos to the wedding guests. Funnily enough, this is far from the first time a fast-food chain has become a partner in customers' weddings. This Valentine's Day, McDonald's got a great free advertising opportunity when a customer proposed to his girlfriend, inspired by the chain's 'Pay with Lovin'' campaign. Meanwhile, at Fazoli's, any couple that gets engaged while at the restaurant on Feb. 14 wins a year's worth of free spaghetti. Restaurant chains, often plagued with bad press and PR nightmares, welcome the chance to partner with a happy couple. When an opportunity as perfect as the Burger-King wedding comes around, how could Burger King resist getting involved?